If you keep up with the latest trends in online marketing, you will know that most people will abandon a page if it takes longer than 5 seconds to load up. When working on your website, regardless of the CMS you are using, it is imperative that you make sure that it is not bloated. This post focuses on how you can increase the load speed of your WordPress website. 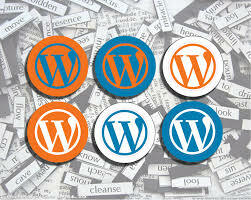 Millions of people use WordPress as a blogging platform to share their thoughts and experiences. But there is more you can do with WordPress. It is a robust, customizable content management system that can used to run business websites that promote brands, products, events and much more. As with every other website, speed is fundamental and there are a couple of things you can do to ensure that your website loads as fast as possible. The first tip for making your WordPress site fast is to use as few plugins as you possibly can. Plugins add a certain level of load time each time you send a request. If you can, code the desired functionalities into the theme rather than installing plugins. This is a great move if you understand PHP and are familiar with the process of building WordPress plugins. You can then replace plugins with identical functions that you program into your theme. If you don’t know anything about PHP, you can still do the same by enlisting the help of an expert. All in all, if you must use plugins, make sure you only use the most essential ones. Too many plugins will bloat your website and slow it down. The hosting company you choose will also impact the load time of your website. If yours is a small business/website, you can go for shared hosting. This will help you save on hosting costs. However, if you are planning on getting a huge amount of traffic, you will need dedicated hosting plans with companies that specialize in WordPress hosting. Before you select a hosting company, always make sure that it has a good reputation as a WordPress hosting company. You also need to make sure that it has been in the business for quite some time. The more years a company has been offering hosting services the better. The prime rule here is to choose a reliable company that specializes in WordPress hosting. Another great way of increasing the load speed of your WordPress website is to make use of caching plugins. This will help slice the load time. A common plugin used today is the W3 Total Cache. It is easy to set up and it gives you great control over the page and browser caching. This will help reduce the load time. If you install the W3 Total Cache plugin, this task will be handled for you. It involves making the CSS files and scripts small. Needless to say, this will benefit you by reducing the load time of your website. However, prior to minifying files, make sure you create a backup first of the original version. This is in case there is a problem when minifying the files. The size of the images on your website will definitely affect the load time of your website. It is therefore important that you reduce the size of your images before adding them to your website. For example, you should never upload a full-sized image of 1400px by 900px. If you will not be using the images at their original size, reduce their size. It takes longer to load larger images. It is also imperative that you don’t add an excessive amount of images on your website, regardless of how small they are. You should also take time to add captions below the images. Search engine crawlers don’t read images but rather texts. Using keyword optimized captions and image alt text will not affect the load speed of your page but it will help improve your search engine ranking. The more lines of code you have, the longer it will take to load your page. Therefore, instead of using CSS to shape your images, consider shaping them with photo editing tools instead. This will reduce the number of requests that have to be made to load up a page. Keep your code clean to boost the load speed of your pages. Your WordPress database is where the data of your website is stored. You can improve database management with a plugin. A plugin like WP-DB Manager will help you get rid of the data that you no longer need thereby keeping your database tidy. Processing old and unwanted or irrelevant data in your database can significantly reduce the load speed of your site. Optimize your database by getting rid of the unnecessary data. Still on tidying up your website, you should consider deleting the old post revisions. Again, the WP-DB Manager plugin will help with this. Alternatively, you can delete the old revisions manually by signing into the admin dashboard and permanently deleting the revisions. Although this is a lot of work, it will sure improve the load time of your website. Reducing the number of posts on your homepage or other pages will improve the load time of your site. It is also important to note that if you have post thumbnails, the website will have to load them individually. Lowering the number of posts on the homepage to about 5 will do wonders in boosting the load time. If people want to see your older posts, they will click on them and you will benefit from more page views. Don’t focus too much on offering more content on the homepage. Reducing the load time of your website is very important. Following the tips discussed above will definitely help you cut down the load time of your WordPress website. James George is a professional WordPress developer and a graphic designer. He has a special interest in WordPress. He regularly creates content for wpdean.com. To learn more about WordPress, visit his blog here.